Which comes closest to their self-appointed title? I'm not gonna call no character bashing, since this is a duel about characters failing. But keep any bashing on point and don't flame other members. So will it be the man who can't save everyone, yet never wants anyone to forget he fancies himself a Hero, or the man who, dispite being in 3 games, has only managed to be the Leading Man in Angel's heart? You Decide! Well, Balthier did stay in Bahamut and saved everyone at the end of the game. Imma pick snow because wasn't balthier a thief? 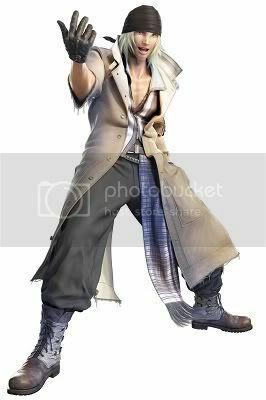 Balthier has class, a clever mind, good dialogue, an airship, a moogle servant, a loyal companion, and a presence that demands respect. Snow has none of these things. Balthier wins. I've voted for Snow btw, he deserves some respect for his hard work and the effort for trying to keep everybody safe. As much as I love the snow I can't stand that man. Balthier for me. a far closer match then i think anyone would have predicted.